MOMENTUM is obsessed with detail. You can hear it. You can see it. Every stitch of its seams is accurately placed, every frequency accurately reproduced. Its genuine materials are in complete harmony with each other. Nothing superfluous, nothing to add. Purism in perfection. It sounds the way it looks: Rich. Clean. Premium.Buttery soft ear cups gently rest near your ears. A slider made of special steel smoothly adjusts MOMENTUM to your preference: a design principle originally developed for shock absorbers, responsible for keeping cars where they belong. In this case it guarantees optimum sustained contact between the sound and the ears, and helps absorb distorting resonances.Extremely light aluminum voice coils deliver breathtaking impulse response. “Soft-as-a-glove,” luxurious leather covers the ear pads, filled with two layers of special foam, evoking the feeling of climbing into a vintage sports car every time you put on MOMENTUM.Embedded within the cable lies MOMENTUM’s sleek in-line control unit: providing complete control over your music and calls. Crafted of fine metal to fit naturally within your fingertips. Specially designed to support Apple devices. -- Libratel Inc. MOMENTUM is obsessed with detail. You can hear it. You can see it. Every stitch of its seams is accurately placed, every frequency accurately reproduced. Its genuine materials are in complete harmony with each other. Nothing superfluous, nothing to add. Purism in perfection. It sounds the way it looks: Rich. Clean. Premium. Buttery soft ear cups gently rest near your ears. A slider made of special steel smoothly adjusts MOMENTUM to your preference: a design principle originally developed for shock absorbers, responsible for keeping cars where they belong. 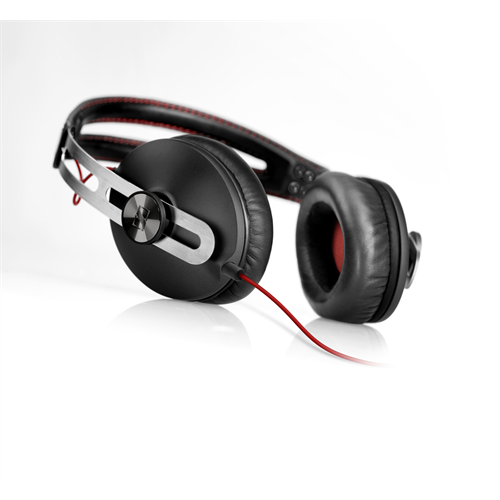 In this case it guarantees optimum sustained contact between the sound and the ears, and helps absorb distorting resonances. Extremely light aluminum voice coils deliver breathtaking impulse response. “Soft-as-a-glove,” luxurious leather covers the ear pads, filled with two layers of special foam, evoking the feeling of climbing into a vintage sports car every time you put on MOMENTUM. 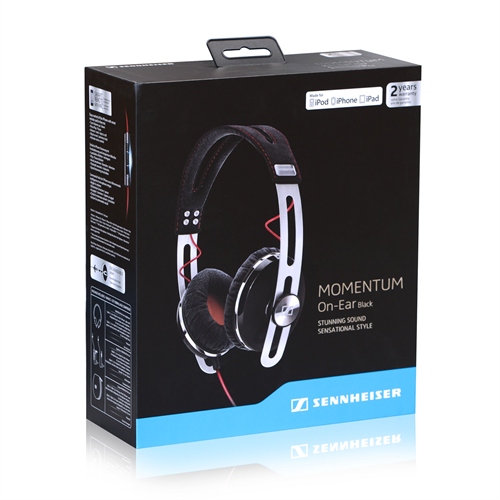 Embedded within the cable lies MOMENTUM’s sleek in-line control unit: providing complete control over your music and calls. Crafted of fine metal to fit naturally within your fingertips. Specially designed to support Apple devices.